Philadelphia Theatre Company welcomes back everyone’s favorite princesses for a heart-warming afternoon and evening concert for the entire family. During A Dream Is A Wish: Holiday Princess Concert audiences will sing-along with a gathering of princes and princesses from popular movie musicals and television shows in a one-day-only event on Sunday, December 16, at 3:00pm and 6:00pm. Children are encouraged to come dressed as their favorite prince or princess. After the show, the cast will host a meet-and-greet reception with holiday cookies, apple cider and photo opportunities. The Holiday Princess Concert will take place at Philadelphia Theatre Company at the Suzanne Roberts Theatre (480 S. Broad Street). Tickets are on sale for $35 at philatheatreco.org, at the box-office, or by calling 215-985-0420. Note: The 6:00pm show will feature a relaxed performance that welcomes children with autism or sensory or emotional sensitivities. 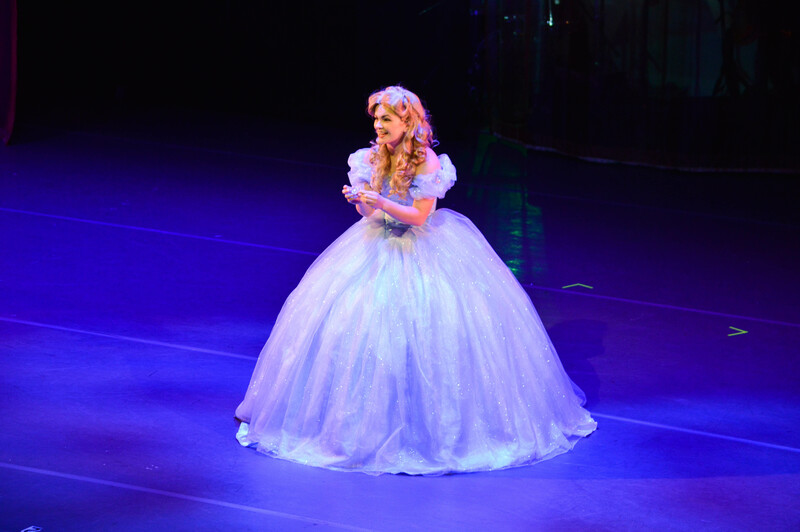 In A Dream Is A Wish: Holiday Princess Concert, Cinderella is planning a holiday celebration for all the wonderful people of the kingdom and all of her princess friends. At the party the newest and youngest princess, Sofia, meets some of the princesses that she has always admired, like Rapunzel, Cinderella, Elsa, Moana, Ariel, Elena and more, along with Hans of the Southern Isle and that lovable outlaw Flynn Ryder. In this heartwarming show, Sofia learns that each princess has obstacles to overcome and her own path to discover, but no matter what, if Sofia’s true to herself, she will find her way. Audiences journey along with her as she learns what “being a princess is all about,” and they’ll sing along with almost two dozen favorites – A Dream Is a Wish, Let It Go, Love is An Open Door, Almost There, At Last I See The Light, Reflection, Part of Your World, Frosty the Snowman, It’s The Most Wonderful Time of the Year, Rudolph the Red Nosed Reindeer, and more. Following the show, all the little princesses and princes in attendance will be invited to meet the cast in a special post-show meet-and-greet. Holiday cookies and apple cider will add to the festive afternoon! Please bring your camera to take photos after the show with the cast. (No photos may be taken during the show). Tickets are $35 at philatheatreco..org, at the box-office, or by calling 215-985-0420. There is a ten percent discount available for four packs of tickets. PTC’s 2018-2019 season is sponsored by Comcast NBCUniversal, Independence Blue Cross, PNC Arts Alive, Center City Film & Video, and American Airlines, the official airline of Philadelphia Theatre Company.